In this 3-Day course, we build upon the techniques learned in the Equine CranioSacral Therapy 1 Course and explore deeply the CranioSacral systems and methods of gaining control over all aspects of the horse’s body. We explore deeper melding and joining techniques and students learn new diagnostic skills that are both intuitive and unequivocally verifiable. ECST II focuses on equine cranial base dysfunctions, or head and poll issues. Horses that have experienced head trauma often experience long-term, debilitating movements, behaviors, and metabolic problems. Students will learn techniques that help with “Head Shaking Syndrome,” systemic endocrine imbalances, “PTSD” sympathetic dominance, bridling issues, and more. Students master techniques to rebalance pelvis and lumbar-sacral joint dynamics, and ways to reset and balance the entire body. (EQCST2) is the second course in the Equine CranioSacral Therapy Certification Program. Each EQCST course builds on the previous course and it is important to take these courses in order. 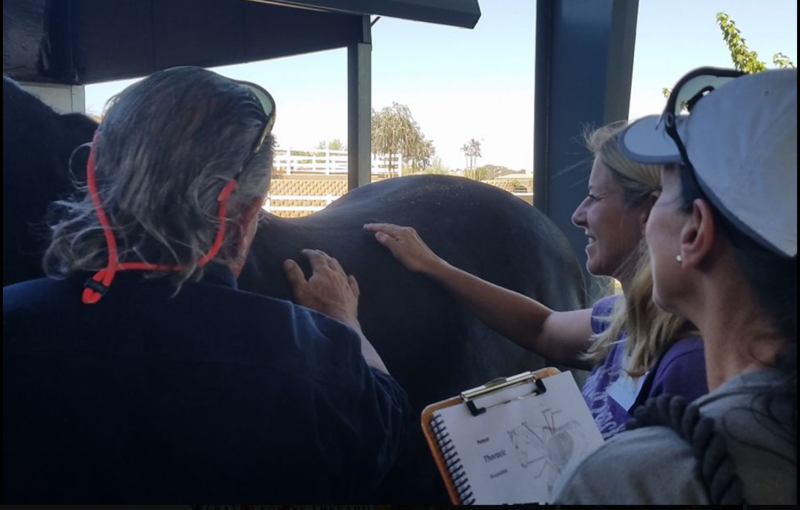 Students interested in becoming certified in the Integrated Equine Therapies CranioSacral Program will need to complete all 3 courses and enroll in the Certification Program. This clinic is suitable for horse owners, trainers, equine therapist, veterinarians, and all equine professionals. Techniques taught in this clinic will increase your skill set and enhance your effectiveness.